The Aid Effectiveness Project promotes aid transparency and alignment to priority sectors for the benefit of poor and vulnerable groups. It encourages government and donors to create a more open environment to allow NGOs/CSOs greater participation in aid coordination. Read more here. The Development Policy Project advocates for a more pro-poor national five-year plan, the National Strategic Development Plan (NSDP), with clear accountability mechanisms. It encourages the government and development partners to provide more space for consultation with NGOs/CSOs in planning processes. Read more here. The Economic Development Policy Project advocates for government fiscal policies that are responsive to the needs of poor and vulnerable groups, and for more transparency in the government’s revenue management. Read more here. The National Budget Project advocates for a fair, credible and transparent national budget process with accountability in place. NGOs/CSOs promote better prioritizing of budget spending for the benefit of the poor and vulnerable. Read more here. The Cambodian National Budget Website was created by NGO Forum’s National Budget project to gather all publicly available budget information to one location. Easily accessible, this website is a useful resource for everyone working on budget issues. Read more here. The Development Issues Programme’s approach, as with other NGO Forum Programmes, is constructive and respectful engagement rather than confrontation. It seeks to build bridges with the government, development partners and stakeholders. Work is supported by research-based evidence and documentation. The Programme coordinates NGOs engaging in national development planning and monitoring as well as aid coordination. Capacity building and public outreach activities have been important. Advocacy and engagement is carried out through means that include formal and informal meetings, hosting platforms or workshops, and establishing networking relationships. The government has recognized the work of the NGO Forum, particularly its coordination of sector NGO Position Papers for the NSDP Update 2009–2013, and the CSO/NGO Perspectives for the NSDO 2014-2018 NGOForum’sworking relationship with government has improved. Development partners have praised NGO Forum’s coordination. The Ministry of Economy and Finance released draft budget law 2011 to NGO Forum for the first time. The Mid Term Review of 2010 budget law implementation was also released. MEF also improved the frequency of releasing budget information in their website. MEF began publishing public procurement announcements in its website following NGOF recommendations. The NSDP Update 2009–2013 includes tables of recurrent budget figures of line ministries and favours allocation to priority sectors such as agriculture, rural development and water resources. The National Social Protection Strategy was produced by in early 2011 after presentation of NGO Forum research. Measuring the impact of the NGO Statements and Position Papers to GDCC and the upcoming CDF (Cambodia Development Forum). Facilitating NGOs to monitor the implementation of the NSDP Update 2009–2013 and influence the formulation of the government’s next NSDP Update 2014–2018. Our advocacy focus on the next plan will demand clear prioritization; that issues of the poor and vulnerable groups are paid attention to; and that monitoring and evaluation are included. Conducting public outreach and media activities on issues of relevant research. Despite some small successes, space for NGO engagement with the government in policy formulation remains limited. Balancing the working relationship with the media and the government so that continued engagement with both can be maintained. Establishing a background mapping of existing research institutes such as CDRI, EIC and CEA so that a partnership or institutionalized relationship around research activities can be set up. The work of the National Budget project and Aid Effectiveness project will be more integrated through their work on transparency and alignment of national budget and aid to priority sectors. Since the early 1990s, Cambodia has moved from international isolation into the era of globalization. The country is highly dependent on international aid and loans. The World Bank, Asian Development Bank and International Monetary Fund play a major role in creating and influencing the government’s development policies. Advocacy on the development policies of multilateral banks has been a major focus of NGO Forum. In 1997, a Working Group on the Asian Development Bank was formed. This later became a Working Group on Development Banks to include other significant actors. The group eventually became the Development Issues Forum, facilitated by the Development Policy Project. 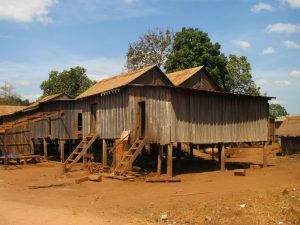 The Development Issues Forum has helped NGOs contribute to Cambodia’s National Poverty Reduction Strategy, resettlement policies and practices, and helped preparations for NGO input to the annual World Bank-chaired Consultative Group meetings. In 2006, the Development Issues Forum produced the NGO Position Papers on Cambodia’s Development in 2006 and the NGO Statement to the first Cambodia Development Cooperation Forum (CDCF). In 2004 the Trade and Economic Development Project (TEDP) was established, and the two projects formed the Development Issues Programme. Through coordination by the TEDP, NGOs interested in Trade and Economic Development issues were formed into the Trade and Economic Development Network (TEDN). In 2006 the Budget Monitoring Project (BMP) was set up to monitor the government budget and its implementation. In 2008 the Aid Effectiveness Project was the last project to be established under the Programme.